Editor’s Note: So hey, it’s 2018, and if you’re thinking, ‘I wonder if they updated this article for 2018?’ you’re in luck, because we did. You can find our article on 2018 higher education marketing trends on the blog, which features a 2018 wish list from senior marketing professionals in higher education. Of course, you should still check out the content here. The calendar year may have changed, but the value of this article hasn’t. Happy New Year! I’m going to be very honest with you. This article was supposed to be about predicting higher education marketing trends for 2017. They flood the internet each December and continue into January. They offer a brief overview of the past year, throw out a few quick stats, and then end with 3-5 predictions that are a mix of tactics already being utilized and tactics that conveniently match the services of the author. That’s not valuable for anyone, except perhaps the agency publishing the post, and in 2017, I’ve made a New Year’s Resolution not to partake in such efforts. That’s not to say that all predictions-style blog posts are worthless. There are some really smart people out there in the digital marketing space, and their predictions are worth reading and considering. The problem is that many of these leaders work in and for corporations and agencies that have large budgets and ample staff. These predictions can motivate and inspire a higher education professional, but when it comes time to move on that motivation, hurdles and roadblocks abound. So here’s what I’ve decided to do. I’ve combed the internet for 2017 predictions in digital, content, and social media from some of the best in the business. Then, for each prediction I read, I’m putting a higher ed spin on it. The end result: 2017 marketing predictions that higher education professionals can put into practice. Everyone and their mother is touting 2017 as the year video marketing explodes. The statistics back up those prognostications. 78% of people watch videos online every week, and 55% watch videos online every day, according to research by HighQ. Furthermore, 79% of senior marketers believe video’s importance will increase in the future. On social media, 500 million people are watching Facebook videos every day, while 82% of Twitter users say they watch video on the platform and Snapchatters watch 10 billion (yes, with a b) videos a day. 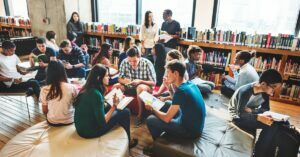 Conversely, research by mStoner, in partnership with Chegg, reveals that 64 percent of teens say they prefer to consume college website content through text and articles, while only 40 percent of teens said they preferred video content. So what’s a higher education professional to do? Rush out to hire full-time videographers? Scrap videos entirely and focus on text? In short, no. Instead, focus on telling great stories, and diversify the manner in which you tell them. In some instances, that very well could, and should, be video. Livestreaming your commencement is a given nowadays, but schools are also producing excellent video storytelling surrounding events like move-in day and offering admissions updates on Facebook Live. Related: Creating quality YouTube content that stands out to prospective students is no easy feat. How can you create videos that are guaranteed to make your school look awesome? Here are 5 content ideas for your school’s YouTube channel that will show prospective students what they really want to see. But don’t place all of your resources in the video marketing basket. Consider podcasting, which also, albeit without as much fanfare, had an incredible 2016. Podcast listenership has grown 75% since 2013, with 21% of all Americans listening to podcasts. That’s more than the percentage who use Spotify and equal to the percentage who use Twitter. If you’re feeling like you can’t afford to invest in the necessary equipment to produce high-quality audio or video, you’re wrong. 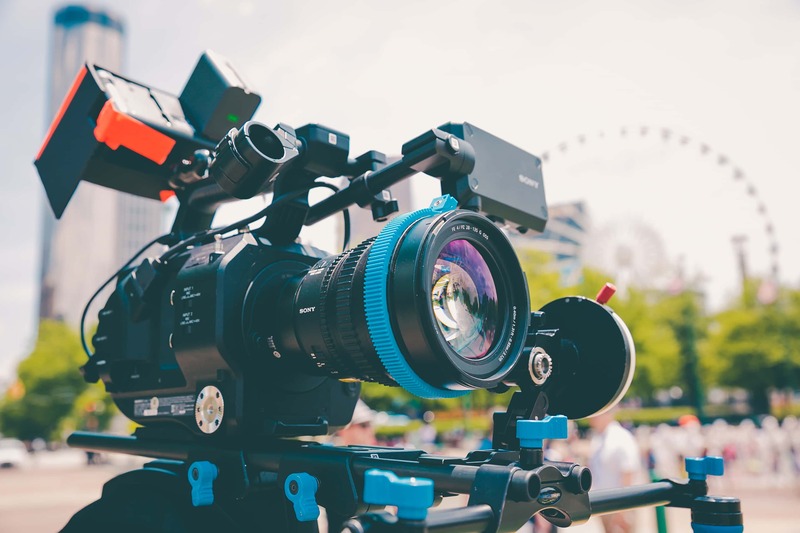 Some of the most popular videos out there use nothing more than an iPhone or prosumer-level DSLR camera, and there is ample information out there to help you get started with video marketing on a budget. Considering podcasting? You can break into podcasting on a budget for as little as $145. So get out there and start storytelling. 2016 was the year influencer marketing went mainstream, with Vine stars (RIP Vine) like Logan Paul and Zach King, among others, releasing native content for mainstream brands like Dunkin Donuts and Buick, respectively. Consumers today, and especially young consumers, are intrinsically wary of branded content. Conversely, they are quick to relate and trust influencers who look like them. What does this mean for higher education? Tap into your current students and let them be the face of your brand. Partner with your students who are vlogging and find a way to tap into their network. Or hand the keys to your Snapchat or Instagram account over to a digitally-savvy student or young alum. Related: Instagram is more than pretty pictures. It can be one of your key student engagement strategies. If you’re starting a university account on Instagram, or are in need of some inspiration to liven up your school’s account, here’s how you can learn from these universities that are nailing it on this visual social media platform. For some schools, these tactics are nothing new. For many in higher education, however, the idea of losing control over your public facing accounts is still enough to make administrators break into a cold sweat. But that’s what it’s going to take to be successful in this endeavor. Your prospective students are smart; they know branded content when they see it. To make it truly authentic, you’re going to have to cede some level of control and trust your brand advocates to spread your message. Make this kind of authenticity your goal in 2017. What They’re Saying: Email is back! Email, long ago left for dead, its death coming at the hands of overwhelming amounts of spam and list buys, has roared back to life in recent years. Its resurgence is the result of many different factors, but chief among them has little to do with email and everything to do with the marketers sending those emails. Publishers and organizations have dedicated themselves to personalized, targeted emails, and they’re seeing an incredible amount of success with this strategy. The New York Times now offers more than 30 email newsletters, personalized around niche topics like running, personal technology, cooking, travel deals, and more. Other publications have built entire business models based on highly-targeted email newsletters. theSkimm, launched in 2012, now has more than 3.5 million subscribers to its daily email focused on female millennials. Related: Slow college fairs offer an opportunity to make a difference for the students you meet and increase the odds that they journey from a prospective student to an enrolled student. And email can help you get there. We explain how. Instead, consider your institution, its features and unique selling points, and your various user personas. Then, create a list of topics that your various users might be interested in. For example, consider email lists based on various academic departments, majors, and/or schools, an email list based on athletics, an email list based on campus life, etc. This isn’t an overly complex task, but it is time consuming. Yes, segmenting your email newsletters requires a heavy dose of up-front planning and user research, but the rewards will come, in the form of higher open rates, more click-throughs, and a more engaged audience. With Instagram’s 2016 switch to an algorithm-based content feed, most major social media networks today rely on some type of algorithm to display content in your feed. And why wouldn’t they? These free social media platforms make their profits on advertisements, and the more time users spend on their sites, the more they can charge for those ads. It’s a pretty simple business model for these public – or soon-to-be public – platforms. Of course, that’s little comfort to higher education publishers, who are stuck between organic posts that aren’t generating the reach, engagement, and web traffic they used to, and limited, if existential, paid media budgets. In the most up-to-date social media survey in higher education, Case found that 59% of respondents were boosting social media content. 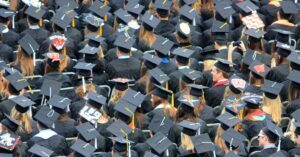 That’s better than in years past, certainly, but still means that roughly 40% of higher education institutions are trying to cut through the clutter without the financial means to do so. Since the amount of content on the internet isn’t likely to decrease in 2017, the onus is on social media managers to justify a social media marketing budget. To do so, focus on your analytics. Install tracking pixels on your website and tag your urls with appropriate campaign information. Use the built-in insights from Facebook and Twitter, or invest in software like Hootsuite or Sprout Social, which allow schools to get a better sense of where their social engagement is coming from. Then, use the insights gained from your analytics to justify a social media budget. It’s easy to argue with industry benchmarks and anecdotal stories. It’s much harder for your boss to argue against cold hard numbers from your school’s social accounts. It’s 2017, and we are officially in information overload territory. There are seemingly hundreds of article available for every google search. That means competition is fierce for many of the surface-level content topics that you might be considering. So how should you adjust to this new reality? According to esteemed blogger and whiteboard artist Rand Fishkin, marketers need to go niche. What does this mean for higher education? In short, you need to start targeting smaller subsets of your audience with more detailed information (sound familiar?). For example, instead of writing a broad article profiling a few well-known and successful alumni, consider focusing on a specific major, like sports management, and offer detailed stories about how these alumni reached their current status with actionable insights. What classes did they take? What student organizations were they a part of? Was there a particular internship they took part in? What advice would they offer students? Can students get in touch with these alumni? These articles won’t have as large a target audience as previous content, but by focusing on a smaller audience, you can dive deeper into a topic and create a piece of content that is more authoritative, targeted, and relatable to its target audience. Yes, such a strategy demands more research and a better understanding of your user personas, but consider the alternative. You’re already putting a massive amount of effort into your content. Why invest that time and energy into a piece if it’s likely to get lost in the abyss of similar existing content?